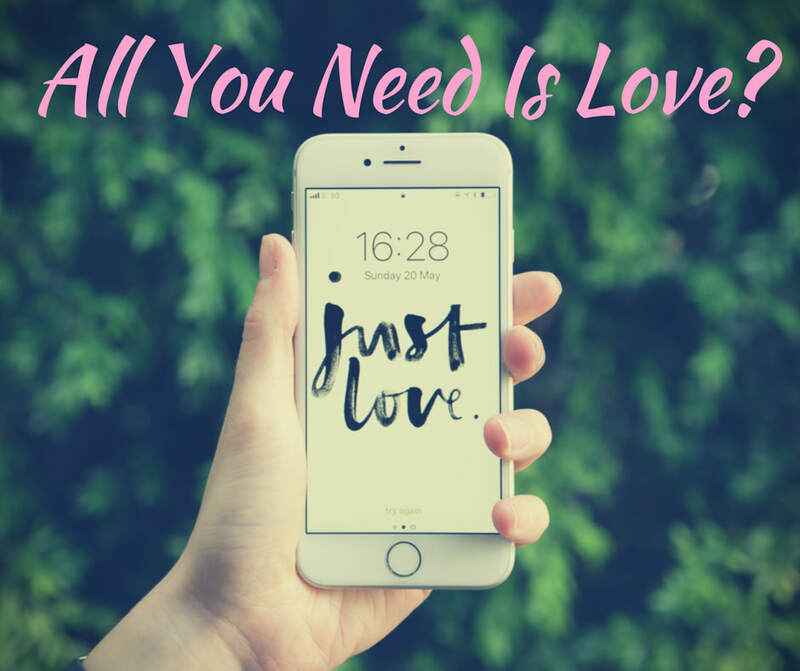 ​I don’t think there’s anything wrong with believing “love is the answer.” However, with this Christian saturation of love-centered living, I fear that we may think love is all we need. It’s not. Let me explain myself. Starting in II Peter 1:3, “His divine power has granted to us all things that pertain to life and godliness, through the knowledge of him who called us to his own glory and excellence.” As we know more about God, His power gives us all we need to become more like Him. Basically, we have no excuse to grow spiritually. So what do we do? ​This list is a hierarchy of attributes. To grow your faith, you supplement each attribute with the next. 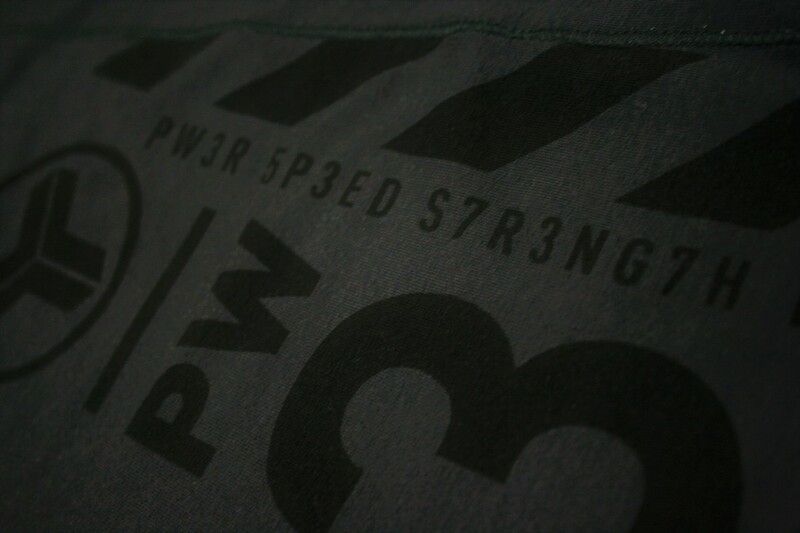 Supplement is the key word. When you take supplements, you, by definition, complete or enhance your body. In the same way, faith is completed or enhanced when you intentionally add virtue. Virtue is completed or enhanced with knowledge and so on. ​What’s interesting is that love is at the bottom of the list. It’s the last supplement you take. Does that mean it’s the least important? Definitely not. We know from the previous verses that love is the essential Christian characteristic. So why is it mentioned last? ​The truth of the matter is we see love as an easy answer to everything, when love is actually hard to obtain. We skip over virtue, knowledge, self-control, steadfastness, godliness, and brotherly affection and go straight to “love God and love others.” But love contains all the previous attributes. It’s a deep and wide attribute of God. Why are we foolish enough to think that the essential Christian characteristic is an easy thing to do? ​So yes, love is what we need. But this love can’t be the cheap coffee mug or #Instagram type of love. This love needs to be rooted in Scripture. This love has to reflect the reality that God’s simplest commandment is also his most complex. Don’t judge a book by it’s movie. The book is always better. There seems to be a war against adapting novels into films. Fought with phrases like the ones above, many people assume the written work is superior to the adaptation. Maybe it is. But then again, if a picture is worth a thousand words, how many words is a film worth? ​Now I do not intend to end the controversy. This discussion will probably continue for as long as these two mediums of story exist. However, what can be gained is some perspective on the issue. And that perspective starts with wondering why the book is always better. A book is generally longer than a film which means you can spend more time in the story’s world. A book explores the inner thoughts and perspectives of its characters whereas a film relies heavily on a character’s actions and movements. Most importantly, a book provides an intimate experience with the story through the utilization of imagination. A book presents a significant person, place, or thing. No matter how detailed the description is, the reader fills in the gaps that still exist through the power of her imagination. By using imagination, the author doesn’t only allow the reader to participate in the story—the story becomes more memorable because of the participation. This is the primary advantage that a book has over a film. For example, an author may write that her main character was very beautiful. The reader forms a mental image of the most beautiful woman she can think of. That mental image is fine-tuned to the preferences and ideals that the reader has in mind. And all the author had to do was write that she was very beautiful. A film tries to do the same but with visuals. However, this almost always fails to satisfy the audience. The preferences and ideals of the director does not perfectly fit those of the audience. Therefore, the imagination of the audience trumps the visuals of a film. To put it simply, a film shows its audience the imagination of another. A book uses the imagination of the reader. 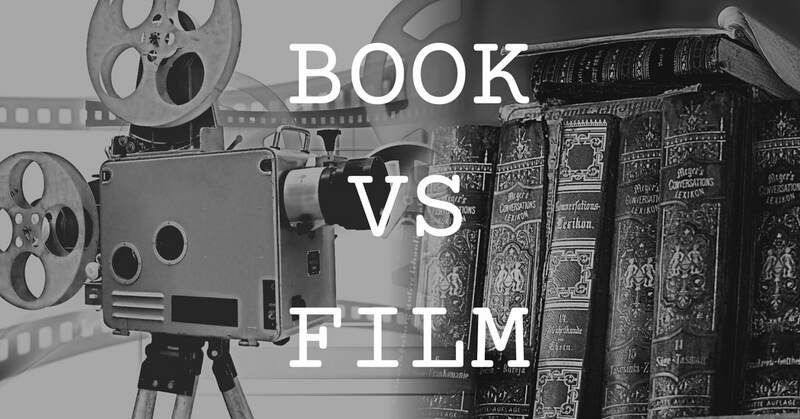 If a book has such a great advantage over film, then shouldn’t the discussion end there? A book gives its readers an intimate experience that cannot be replicated. A film cannot challenge that . . . and it doesn’t have to. A film finds its advantage in an entirely different area—the integration of its elements to incite emotion. Sculptors, composers, authors, dancers, painters—each artist has their own medium to create their work of art whether it be musical notes, paint, or even their own bodies. However, film is different. Film remixes many different art forms to create a narrative. The music of a composer, the dialogue of an author, the body of an actor, the imagery of a photographer, and the rhythm of an entirely new type of artist—the editor—all combine to form a cohesive narrative called a film. The advantage of film is its ability to unify various elements for a specific purpose. However, this advantage can quickly turn into a disadvantage. A film can only work if there is perfect collaboration amongst its artists and an adherence to the film’s vision. It’s a chain that can be quickly broken due to a weak link. Therefore, there are far more bad or mediocre films than genuinely great ones. These two mediums of story have different advantages over the other and, for that reason, are not suited to direct comparison. One uses its words to incite the imagination of its audience. The other presents the imagination of another through combined art forms. Neither is superior to the other. Besides, there are elements in each medium that work for some stories and don't for others. For example, a book has an inherently slower pace than the unrelenting stride of a film. A film can utilize the intertextuality of music and visuals--something books cannot do. On the other hand, the inner monologue in a book is impossible to replicate in a film. Each of these can be an advantage or a disadvantage depending on the story meant to be told. ​Therefore, preference of one art form over another is subjective. Personally, I prefer film. Why? I don't know. Probably because it’s just . . . better. What does Santa Claus do on the 364 days that he’s not delivering presents to American children around the world? This peculiar question slipped into mind during the holiday season. It seems Santa is just so hyped up during Christmastime that strange questions like these begin plaguing your mind. In fact, Santa is so hyped up many Christians fear that focus on Santa Claus is overtaking our focus on the birth of Jesus Christ. It’s a fair concern. However, I wouldn’t worry too much about a problem that only comes up every holiday season. Especially when many Christians, myself included, treat Jesus Christ like some kind of Santa Claus 2.0 every single day of the year. The main parallel that Christians draw between Jesus and Santa Claus is the idea of the naughty list. That in the same way Santa keeps a list of those who are naughty and nice, Jesus keeps track of who did what and rewards them accordingly. And while it is true that we will eventually receive what we deserve (II Corinthians 5:20), this idea can be quickly transformed into an “instant karma” mindset. This mistake is easier to make than you think. Let’s say you haven’t read your Bible in a while. At the same time, you happen to find yourself in deep financial trouble. So you decide to start reading your Bible again expecting God to bless you with financial safety. Another instance could be when you suffer a terrible accident and immediately wonder what sin caused God to rain his wrath down upon you. Reducing Jesus to an all-powerful Santa Claus 2.0 takes away from his personal desire to be merciful and give grace (Hebrews 2:17). In fact, it even places us on a pedestal by expecting Him to reward us for our goodness despite our utter worthlessness without Him (Romans 3:10-12). Jesus is more than an all-powerful being. He also loves us. There is one other significant way that Christians treat Jesus like Santa Claus 2.0. It’s subtler but also more dangerous. What does Santa Claus do throughout the year? Does he ski or skate? Maybe some ice-fishing? Or does he retire to the Bahamas. You see, nobody knows. Everybody cares about Santa Claus during Christmastime, but nobody cares about him throughout the year. To put it simply, we care about him only when we need him. And that’s how many of us Christians treat Jesus Christ. He only pops into our heads on Sunday morning or when a religious topic intrudes on our day. We beg for his forgiveness after we sin, but don’t think about him when we are about to. We praise Him in church, but never on the street. A cry toward Christ is used as a last resort, but never is it given precedence. It’s a lifestyle called practical atheism. A way of living that, according to R.C. Sproul, “appears when we live as if there were no God.” And it’s prevalent among Christians. Many say true Christianity is not a religion, but a relationship. But a relationship where man only notices God when he wants something is not a relationship of love. It’s a parasitic relationship. I found this to be quite strange. Not wrong—just strange. This statement views story as having to balance entertaining the audience with teaching them. A story lies somewhere on a scale between teaching and entertainment. If it strays too far to one end, then it no longer becomes a story—it becomes a sermon or escapism. When a story becomes a sermon, it becomes a different medium of communication. The story loses its defining qualities which is definitely a bad thing. The sermon, itself, isn’t wrong. What’s wrong is the fact that the story is losing a vital part of itself. However, it’s a little different with escapism. A story doesn’t become a totally different medium of communication when it becomes escapism, because escapism isn’t even a medium of communication. 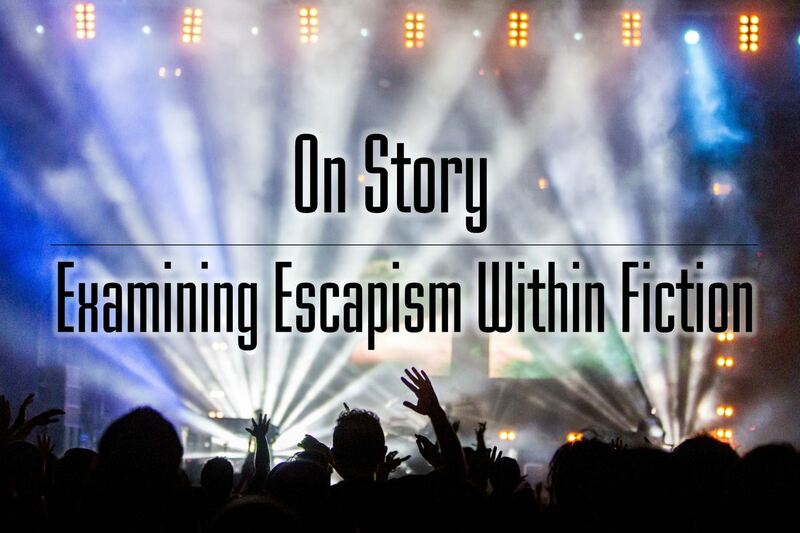 A so-called escapist story is still a story. Therefore, the bad side of escapism is escapism itself. But is escapism really that bad? This article is the third in a three-part blog series on beauty. Click here to read the first article, Beauty and the Beholder. Click here to read the second article, Discovering the Standard of Beauty. 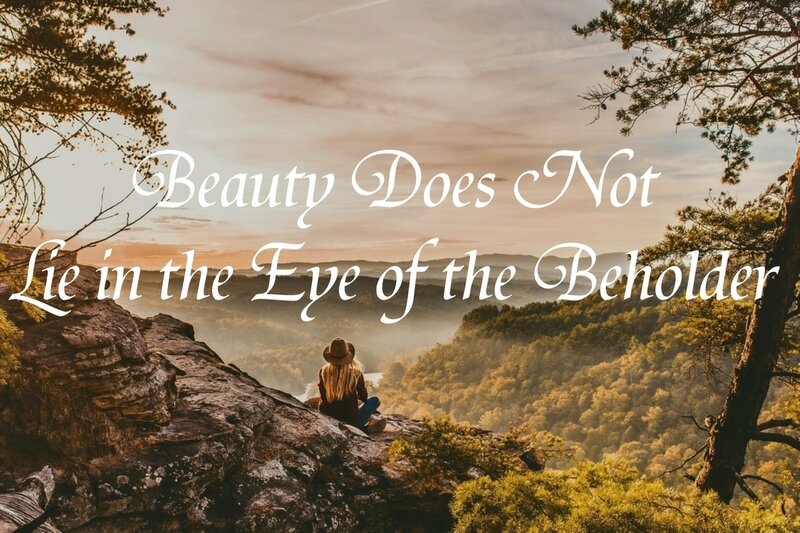 In my previous article, “Beauty and the Beholder,” I said that the phrase “beauty is in the eye of the beholder” is not only wrong—it’s dangerous. The phrase devalues beauty and erroneously views beauty as subjective. 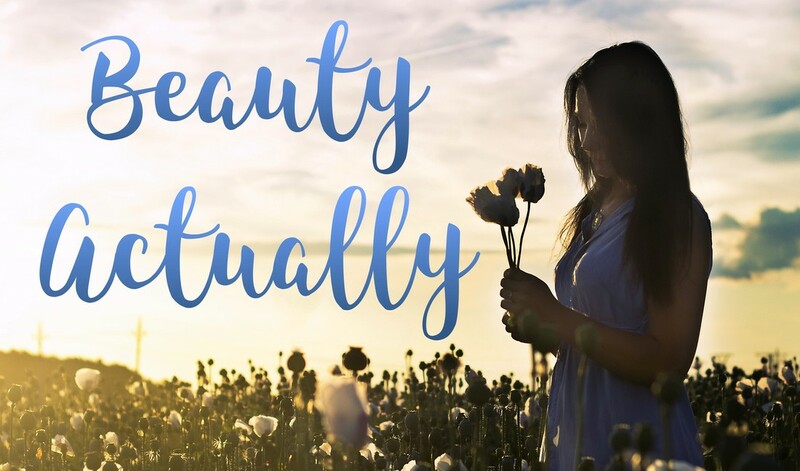 To counter these wrong claims, I explained how beauty is extremely valuable and how God is not only the objective judge of beauty—He is the perfect standard of beauty. But to say that God is the perfect standard of beauty seems a bit odd. After all, God is a spirit. Forget about judging any of His aesthetic qualities—you can’t even see him. How does God epitomize beauty even though He’s invisible? In order to answer this question, we first have to address another one: what is beauty? This article is the first in a three-part series on beauty. 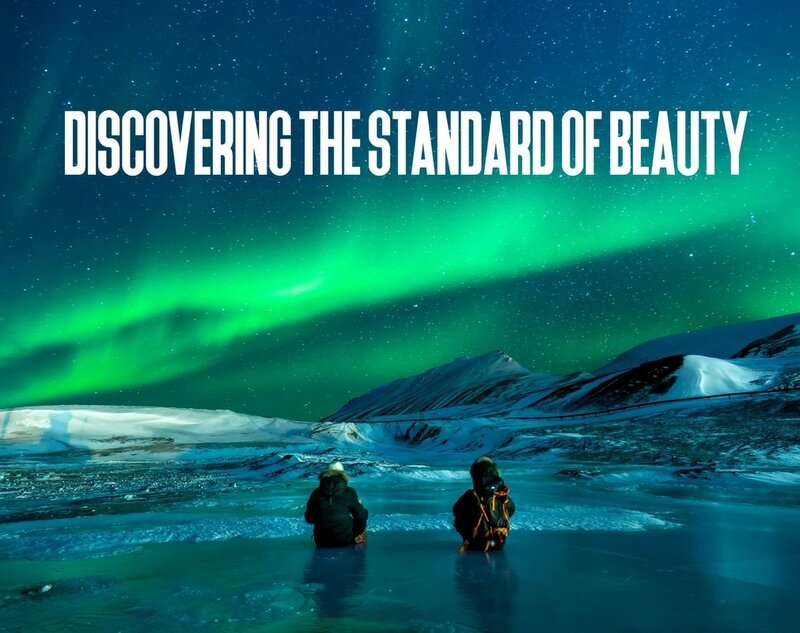 Click here to read the second article, Discovering the Standard of Beauty. ​“Beauty is in the eye of the beholder” is a popular phrase that is widely held as being true. It’s used to defend one’s artistic choices, combat negative body image, and critique works of art. You’ve probably used it yourself at least once in your life. But despite its popularity, I believe the phrase is not only wrong—it’s dangerous. First, what does the saying even mean? This saying claims that beauty is a subjective issue. Since everybody is entitled to their own opinion, you should agree to disagree. We shouldn’t put down another person’s view of beauty, because the judgment of beauty is subjective—not objective. It’s a polite way to avoid an argument. So far, it all seems good. We are avoiding conflict and building up one another’s views. However, there are two reasons why this phrase is actually far more insidious than you think. What does “beauty is in the eye of the beholder” actually communicate? Though you may avoid an intense argument through it, this phrase actually implies that the aesthetics of whatever you’re arguing about are on the same level as each other. It conveys that nothing is more beautiful than something else. That is a very bad position to be in. This view downgrades the importance of beauty. If everything is equally beautiful, then nothing is. Once aesthetics becomes an unimportant factor, the value of beauty is lost. And beauty is important. Many would argue that beauty isn’t as important as, say, truth or morality. I believe we could all see how, even with a nihilistic worldview, truth gives us stability and morality gives us order (although both truth and morality go much farther than that). How truth and morality contribute to our lives gives a good indication to how important it is. Let’s apply that to beauty. How does beauty contribute to our lives? Well, without it life would be dull and bland. However, beauty gives life more than vibrancy and color. Beauty gives us pleasure. And even though one could say we, as human beings, all want pleasure, the word “pleasure” still seems trite compared to how marvelous beauty can be. At its finest, beauty is breathtaking and awe-inspiring, full of grandeur and magnificence. Beauty gives us a sense of some divine order. Who can say beauty isn’t valuable? Devaluing beauty is a serious error, and the phrase “beauty is in the eye of the beholder” implies that beauty doesn’t matter. However, I believe the entire statement is wrong—not just its implications. I believe beauty itself is not subjective. First of all, nobody believes beauty is totally subjective. Claiming “Twinkle, Twinkle Little Star” is grander than Beethoven’s Ninth Symphony is absurd. Arguing for the Mona Lisa to be taken away and replaced with a five-year-old’s scribbles is a ridiculous request. Replacing a gorgeous skyline with a stinking trash heap won’t go over well at all. However, just that has happened in the art world. Because of adopting the viewpoint that “beauty is in the eye of the beholder,” examples of modern works of “art” include a single line of white across a blue canvas, splotches of randomly tossed paint, and a white square over a white background. Even worse is the acceptance of performance art in which people perform bizarre acts to make an audacious statement. When looking at what is now deemed art, you cannot help but say that one’s concept of beauty has been distorted. The examples above are dealing with the far ends of the spectrum. But even if two works of art are close in quality, we still shouldn’t resort to a relativistic point of view. Striving to discern which one is better will help maintain a standard of excellence. We, as a society, will not lose our ability to create and appreciate the beautiful. But there is also a greater reason for defending the objectivity of beauty. When you use a secular worldview, beauty should still be judged objectively because our standard of beauty will regress if viewed subjectively. The only thing at risk is society’s criteria for what is beautiful and what isn’t. This is still an honorable goal. We should aim for objectivity when judging beauty, because we need that objective standard. However, for the Christian, this battle is even more important, because beauty isn’t just something that makes us happy and fills us with awe. It makes us aware of the divine. Beauty in this world points us to the beauty of God. When we gaze upon the splendor of nature, we marvel at God. Even the works of man should lead us to glorify the ultimate Creator. Beauty grabs our attention and turns our faces toward something greater than ourselves. With this point in mind, how can we claim that beauty is subjective? If God deems something ugly and we see it as beautiful, how can we argue against him? If beauty is meant to reflect God’s beauty, then we should be willing to let God declare what is beautiful—not us. He is the only objective judge, and He is the perfect standard of beauty. Beauty is not in the eye of the beholder. Beauty is in the eye of the one and only Beholder. ​I totally hate fitness. Okay, not really. I just hate writing about fitness. For me, fitness is something I do. Not something I write about. ​Every storyteller fears it. Everyone is frustrated with it. Nobody likes it. What is it? Clichés. 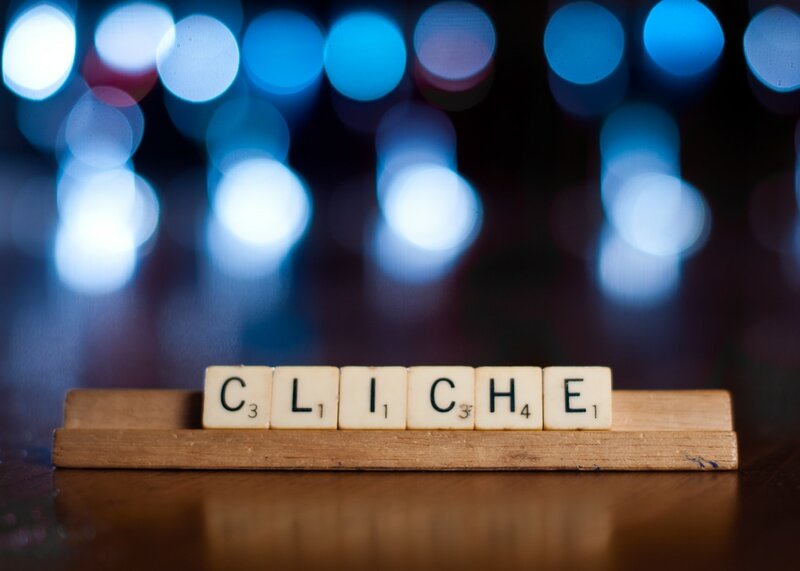 When a storyteller pours his heart and soul into a story agonizing over every plot point and character flaw, the worst thing you can say to him is “that’s so clichéd.” Upon hearing these words, the storyteller drops into a haze as he wonders how his “completely original” idea can be considered cliché. The fear of including something clichéd in a story is a fear every author can relate to. There’s a lot of evil in this world. I don’t need to list any examples. You’re probably already making a list in your own mind. And that list can go on and on and on. With that list in your mind, answer this question: How do you respond to these evils? Let’s make it a bit broader. How do most Christians respond to the evils of the world? Well, if you’re part of Westboro Baptist Church, you protest . . . like crazy. But keep in mind that protesting isn’t limited to actual picketing. You can protest through social media or when you’re in a public discussion. Taking this into account, Christians seem to be protesting more and more. Whether you like it or not, this surge in protesters has created an impact you cannot deny. But brazen outspokenness isn’t the only response. Some Christians tend to take a more spiritual approach: prayer. This method is also powerful. Scripture speaks of the power of prayer. Perhaps the best known quotation is “the effectual fervent prayer of a righteous man availeth much.” You cannot deny Bible truth. Prayer is a powerful approach. Still, some see prayer as empty words. They say, “Sure, you can pray all you want, but you should put feet to your prayers. God wants Christians to act.” So they do. Donating large amounts of money to aid charitable causes. Volunteering to help the poor and needy. Anything to make their prayers a reality. This approach is also biblical for God commanded His people to help those in need. The sad truth is many Christians do not follow this command. Taking these three general responses together, we can see that Christians have an overriding desire for one thing: to change the world. And that’s a good thing. Christians should be fighting the evils of this world head on whether it be through protesting, prayer, or actively helping. All Christians should have a desire to change the world. To put it in melodramatic terms, we should want to save the world. Wait. Save the world? Hasn’t that already happened? As a matter of fact, it has. And that’s why we have been wrong this whole time. God sent Jesus Christ to save the world. And He did. Jesus died and rose again to save the whole world. But many Christians, myself included, sometimes act like he didn’t come to save the world. We want to repel the world’s evils through protesting or prayer or actively helping. But that won’t make a true difference, for only the gospel can repel the world’s evils. For only Jesus can save the world. That’s not to say that any of our initial responses are bad. I don’t see a problem with prayer or volunteering or protesting (in moderation). But should Christians really be primarily known as prayer warriors or great volunteers or annoying protesters? Shouldn’t we be known as messengers of the Gospel? Next time you get worried about the progressing evils of the world or you’re really pumped up to change the world, don’t let your mind go directly to something like protesting. Remember that Jesus has already saved the world. So share the good news with others. Never forget that the gospel—the whole gospel from original sin to final restoration—is the power of God. We Christians have a divine weapon to use against the evils of the world, for the gospel truly is quick and powerful. But we have to use it. Share the gospel just as Christ commanded, and who knows? We just might change the world. I create stories and lift things up and put them down. All for the glory of God.